► Is the Ford still top dog? As tough acts to follow go, the old Fiesta is right up there with the current monarch and Elvis Presley. 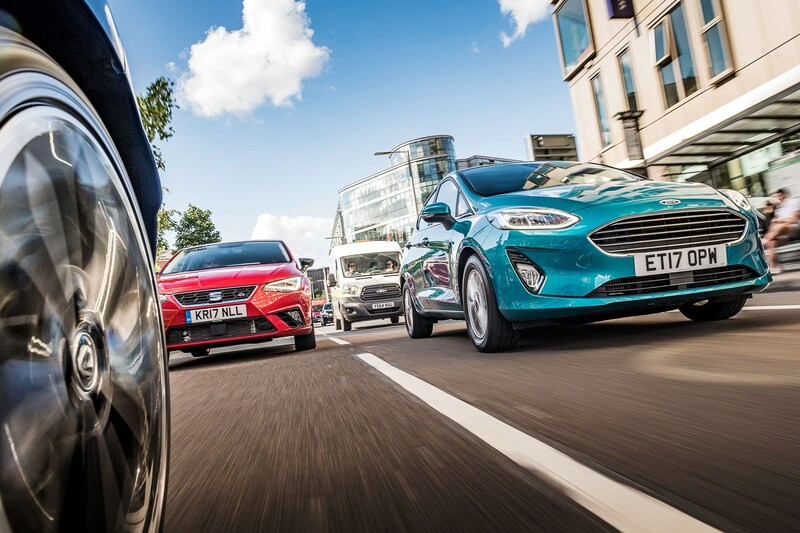 Not only was it the best-selling car in its class, the last Fiesta was the best-selling Ford and the best-selling car in the UK full stop. It did this for seven consecutive years, up to its final full year on sale in 2016. That kind of success can give you sleepless nights if you happen to be New Fiesta Person at Ford. But here it is. Trust us – we've not accidentally parked a late-reg old model in front of the camera. Ford has previous when it comes to designs almost imperceptibly different from the outgoing model, but the exterior of the old car hadn't dated as horribly as the interior, and given the stakes it's hardly a surprise Ford has played safe. There's more considered evolution elsewhere, with the Ford's platform and suspension directly descended from what came before, while the engine range is tweaked to add a high-power diesel and fresher entry-level petrols based on the EcoBoost motor without the turbo. Here we're testing the nailed-on best-selling spec: five doors, Zetec trim and petrol motor. The 1.0 EcoBoost with 99bhp is the hottest you can get in our Z-trim, but with 125lb ft it's capable of tugging along far bigger boats. 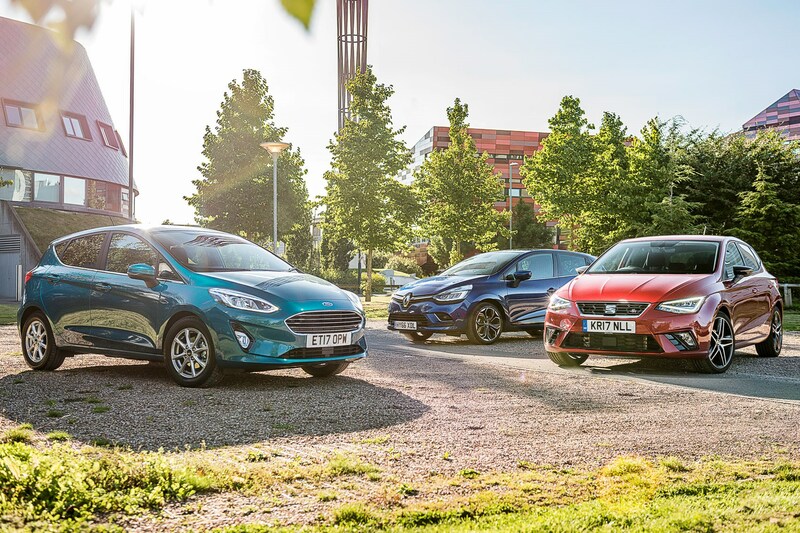 The Fiesta could've been facing off against the solid but unspectacular Vauxhall Corsa, but its arrival has neatly coincided with a new Spanish rival, the Seat Ibiza. Seat is very much in the middle of a sweet spot, stamping its identity on VW Group underpinnings with the excellent Ateca and making it a swift 1-2 with the Arona compact SUV. 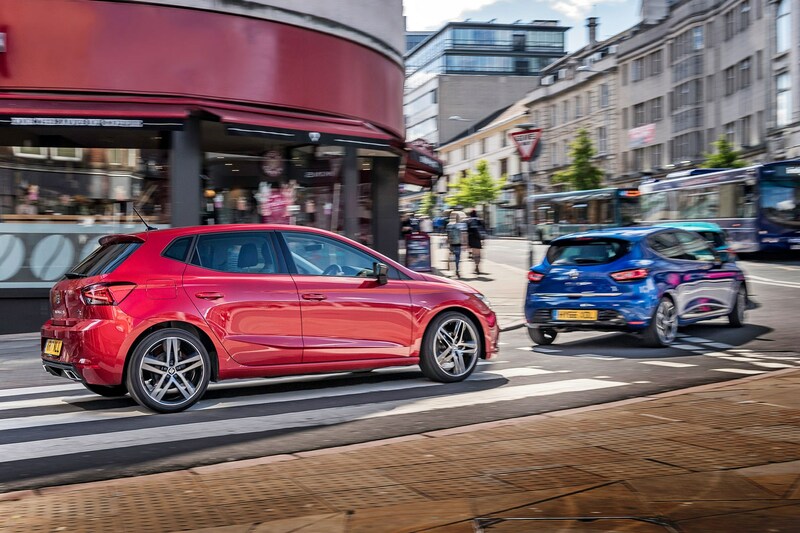 Like the current Leon debuting ahead of the Golf, the new Ibiza gets VW's latest MQB platform first in this segment, slightly before the new Polo. This is a big deal because MQB aims to do the same for Ibiza as it did for Golf and its cousins: provide a flexible layout with safety, space and refinement. Crucially, the Ibiza's wheelbase is now 95mm longer, and pushing the wheels out to the corners in textbook small-car fashion promises more space than before. 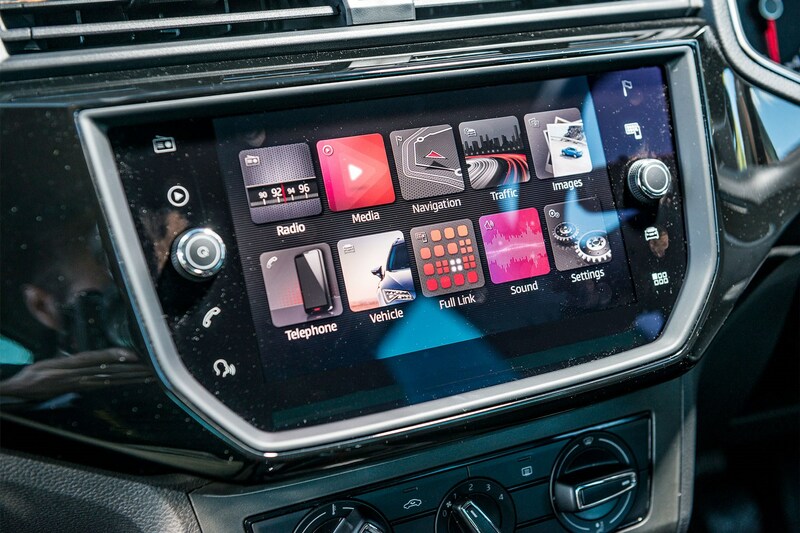 The smartphone era means technology is more than essential: FR and Xcellence models – the top two of Ibiza's four trim levels – get a big-for-the-class eight-inch touchscreen that's impossible to miss, while more impressive kit like Traffic Jam Assist trickles down from more senior products within the group. Again we've gone for the most popular engine; a 1.0-litre turbocharged triple with 94bhp, although it's also available in riotously powerful 113bhp guise. 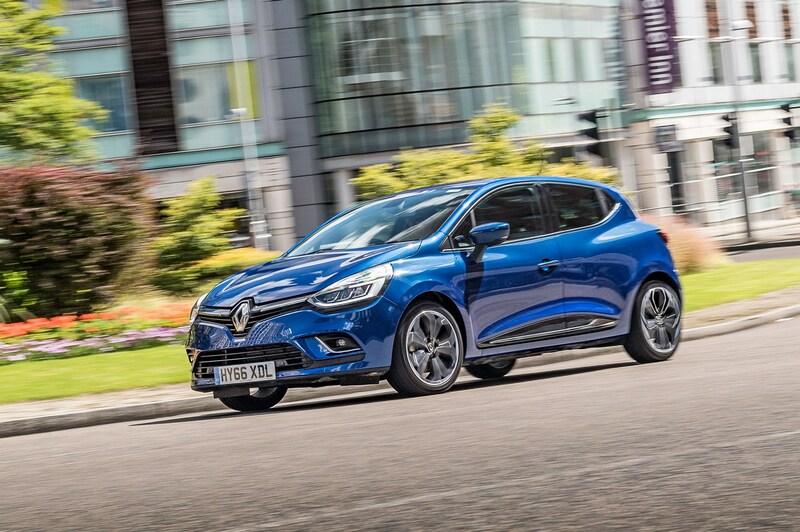 Completing our trio is Renault's Clio, a hit with UK buyers through all previous generations and still popular even though this fourth-generation model is now five years old, albeit facelifted in 2016. 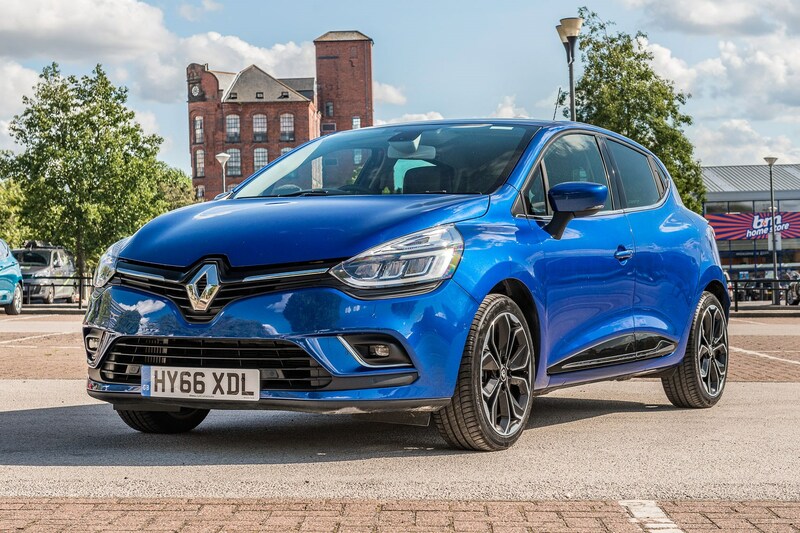 The French brand has always done small cars best, and the current Clio ticks several familiar boxes with a strong exterior design, a broad mix of petrol and diesel engines and the potential for a perky driving experience. Dynamique S trim – the fourth of five trims – means plenty of the required kit is included, running to MediaNav infotainment, climate control, 17-inch alloy wheels and keyless entry. Here it's powered by the larger of two TCe petrol units with four turbocharged cylinders, 1.2 litres and 118bhp. Climbing into the Clio for a cold early-morning start is something of a shock. From the faint twang of the driver's door to the uniformity of colour inside, it's hard not to think the little Frenchie is feeling its years. The centre console's relative simplicity is not without charm, the heating and ventilation controls are intuitively arranged and there's a pleasing mix of straight lines and curves. But there are oddities too, like the ugly speaker grilles that look lumped onto the doors, and, bafflingly, the door pull that protrudes so far into the cabin that my right arm spends more time bouncing off it than resting on it. Still, the 1.2-litre petrol mill fires with as little fuss and noise as your neighbours would hope for at 6am and warms the cabin quickly. It's not the youngest engine here but, as well as a slight power advantage, there are other benefits from having the extra cylinder. In typical driving it makes less of a fuss, being happy to lug along from low revs, and with a six-speed manual as standard an 80mph motorway cruise registers a barely-there 2000rpm. At lower speeds the driving experience is relatively low-effort if somewhat inconsistent. The clutch is light and progressive but the brakes have a soft initial application, leaving you pushing harder than expected. The steering, at urban speeds at least, feels a little slow-witted and very light although accurate enough that you don't find yourself guessing too often. After two hours of acceptably painless A-road and motorway the Clio joins Fiesta and Ibiza on their natural shopping ground of an urban retail park. Lined up together, the trio express remarkably different visual styles. The Clio almost channels the spirit of its crossover cousins and there's a little original Twingo discernible too. The rear wheels are pushed well back in the body but the front overhang is more significant, lending it the look of a pseudo-MPV, in particular a more than passing resemblance to its Scenic siblings. Big curves down the flanks play with the ambient light and at the front the details are hard to miss, with the slim grille punctuated by enormous headlights (now with integrated – rather than separate – daytime running lights) and a Renault badge that's probably visible from the factory. It's potentially a divisive look, but you can see why people fall for it. Where the Clio has curves, the Ibiza has edges, and lots of 'em. It's even more like a shrunken Leon than the last Polo was like a shrunken Golf, but there's a strong case for saying the smaller of the two Seats is the more handsome. The broad outline is relatively conventional small-hatch but it's the details that make it, a riot of lines off the horizontal that slash across and along panels. FR trim means 17-inch wheels as standard with optional 18s on this example – the preserve of hot superminis not 10 minutes ago – that help toughen the stance. Maybe some buyers won't like the strong creases, but to these eyes the Ibiza is the visual pick of the bunch. That leaves the Fiesta to pick up the entry-level cutlery award in the looks department. The old car was certainly enhanced by the addition of the budget Aston grille but that was four years ago, and the unavoidable familiarity of the shape means that, although changed in the details, it still occasionally requires a double take even if you have the key in your hand. Ford's official blurb talks about the exterior as being 'simplified' and 'settled', which are delightful euphemisms for risk-free. Surely Ford could have been a little more adventurous without any serious danger of putting buyers off, given that there are plenty of loyalists who'd buy one even if it looked like Postman Pat's daily driver. There's more careful strategy at work when you step inside the new Ford. The old car's cabin closely matched the decline of the Nokia phones that inspired it and had nowhere else to go but the bin. Park yourself in the driver's seat and the initial impressions are good. The 6.5-inch screen sits high up and although it looks like an afterthought it's in the right place for viewing and prodding. It responds snappily and is crisp and clear. The steering wheel is chunky, the gearlever sits up in a good position and the ventilation controls are simple, if set quite low on the dash. Look a little closer and you can see where pennies have been saved here and there. The dash is topped with a softish-feel slab of plastic but the grain is matched elsewhere with a less pliable version that defeats the eyes but not the fingers, with the surrounds of the electric window and mirror controls, centre console and lower dash swathed in lots of the hard, black stuff. There are more ups and downs in the cabin. 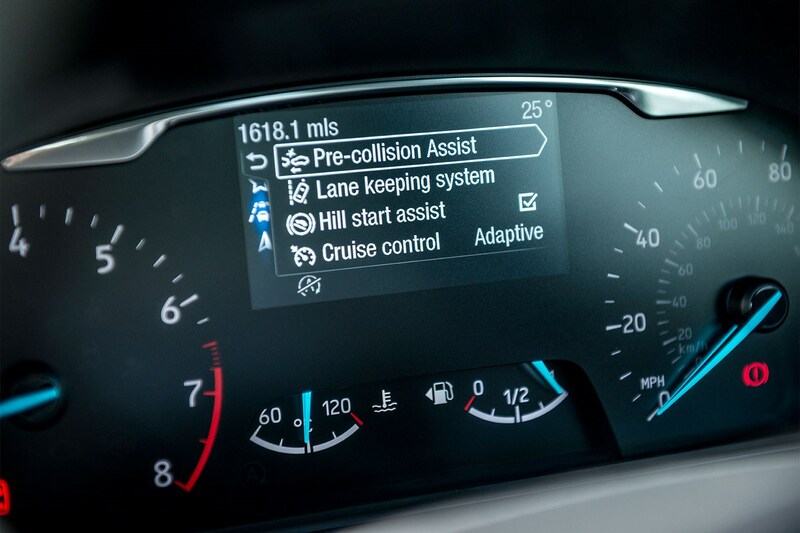 The steering wheel controls feel flimsy, the optional central display that comes with the Driver Assistance Pack (£400) is too busy, and requires fiddling with those wheel buttons again to operate. There's also some curious construction work that's gone on with the dash as a whole, possibly a compromise in order to make the design work within the existing hard points of the cabin. The dash itself seems cliff-like, while some elements seem to be leaning either towards or away from you for no obvious reason. 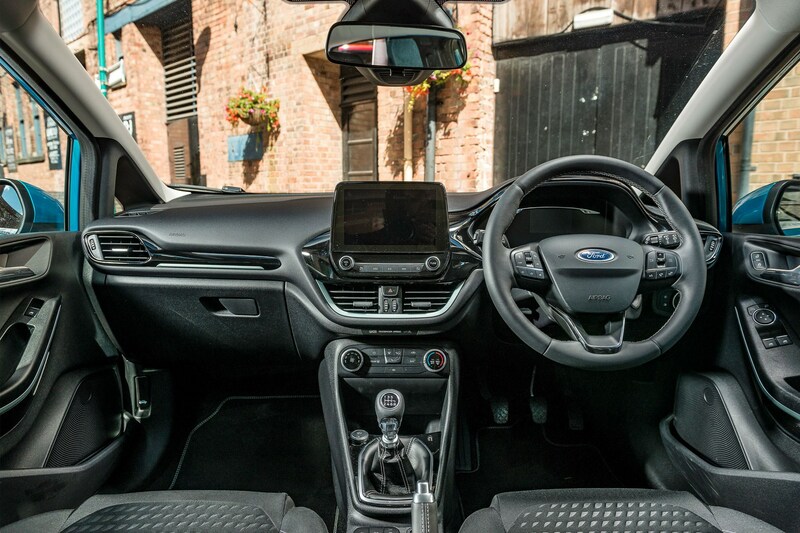 For the basics of driving the Fiesta's cabin is fine, with well-weighted controls in all the right places, but the details come up a little short, as do rear leg- and headroom, with the roof rail in particular seeming quite close to your head. In Clio country the basics are all in place. 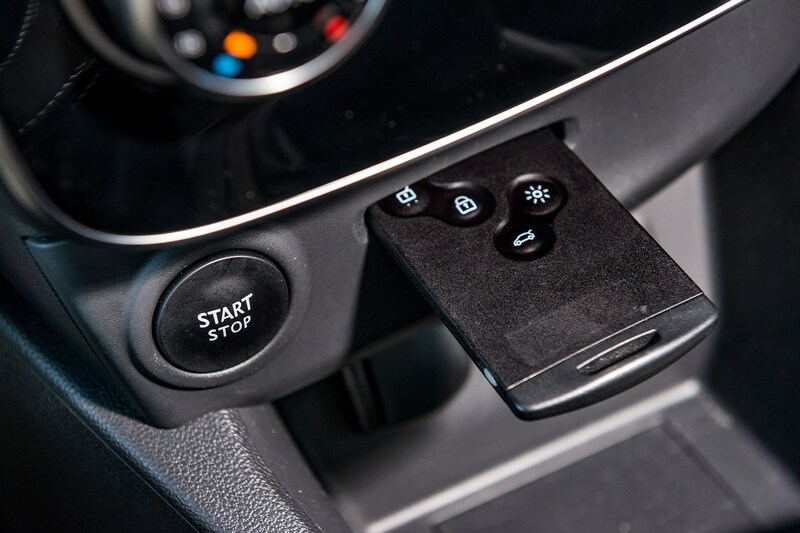 The instruments are almost high-tech minimalist, and by keeping the old-school (but still good) audio controls on a lower pod, the wheel itself is reserved for just voice control and cruise control – although oddly the switch to flick between the latter and the speed limiter is by the handbrake. Also curious is that the Clio's central screen feels so small – at seven inches it's actually bigger than the Ford's but being fully integrated into the top of the dash plays tricks with your perception. 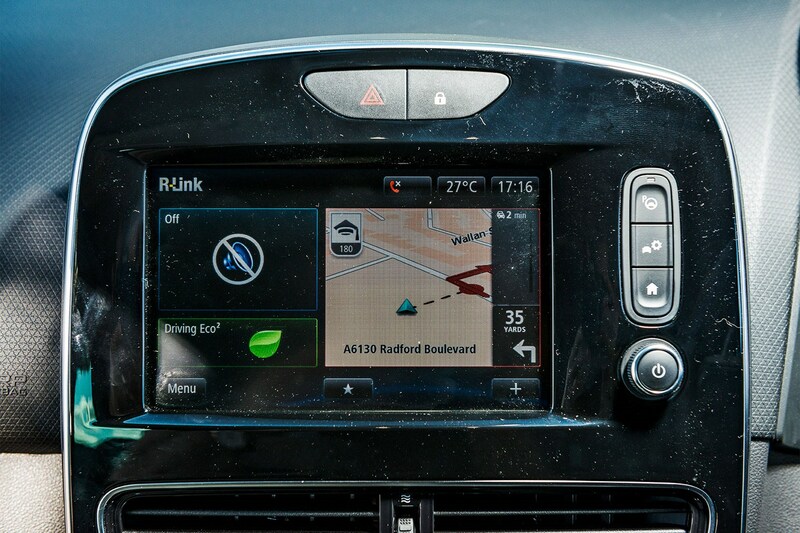 The optional R-Link upgrade, fitted here as part of the £1000 Techno Pack Premium, adds in TomTom navigation with live traffic updates, voice operation and smartphone connection, the main downside being that some of the graphics and buttons are relatively small and easy to miss. Leg- and headroom in the rear are fractionally better than the Fiesta, and the bench itself is better proportioned to carry three passengers. 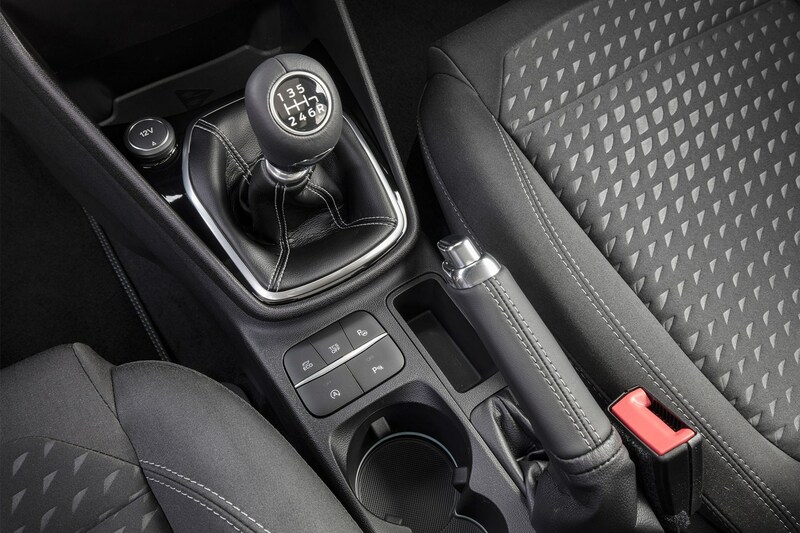 The Ibiza's cabin isn't perfect, but it pulls a couple of lengths clear of the others. The strong design theme carries over from the exterior, almost Lamborghini-like with its abundance of quadrilateral shapes, but it's undeniably well executed. The decoration, in contrast, is almost austere. Only the air-con controls and two knobs on the big eight-inch touchscreen break up the surfaces, while small stripes on the FR seats add extra interest. There's no less hard plastic in the Ibiza than in the Fiesta, but what there is feels a fraction sturdier and less likely to scratch. 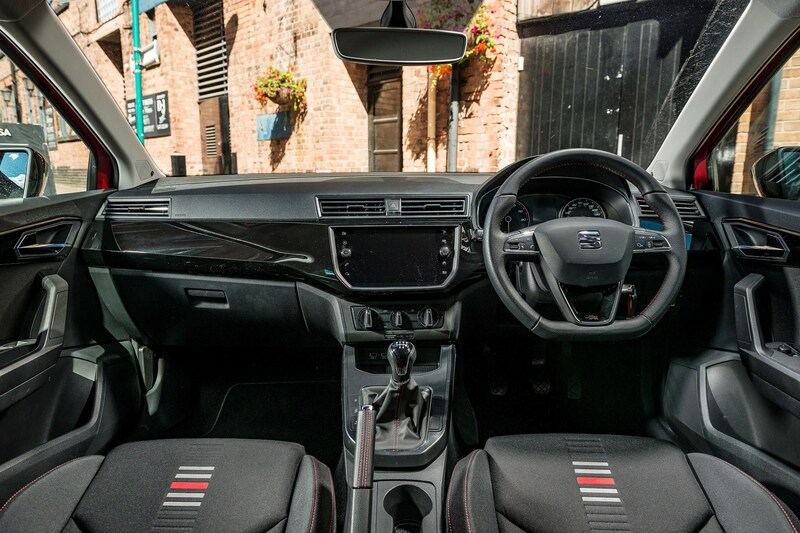 The Ibiza also nails the instrument and info display – it's clear, stylish and easily navigable via the multi-function steering wheel – but the sooner the cleanliness nightmare that is piano-black trim is consigned to the dustbin, the better. 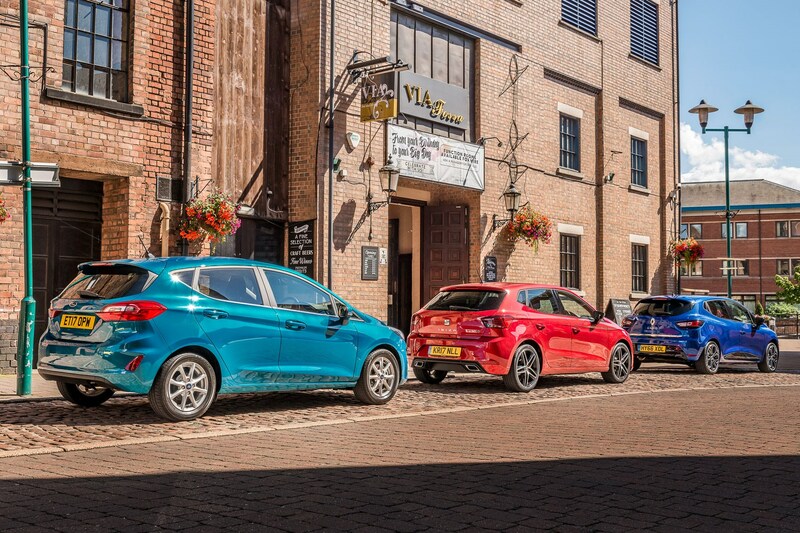 Showroom appeal is clearly important but the Fiesta is in the ascendant out on the road. The 1.0-litre EcoBoost might be only adequately powerful with 99bhp, but it still operates with an enthusiasm well beyond its capacity and intergalactic gearing, and is so smooth that, other than the timbre, you'd be hard pressed to know you've got just three cylinders. Cruising requires no effort, and as long as you're not in a massive hurry you can accelerate at motorway speeds in sixth without having to row down the gears. The steering isn't as chatty as the old Fiesta, but it's still the sharpest and most engaging here and ties in beautifully with the chassis' behaviour. It feels nimble and up on its toes, and although it will default to understeer if you're crude about entry speeds, there's still the capacity to bring the rear into play. 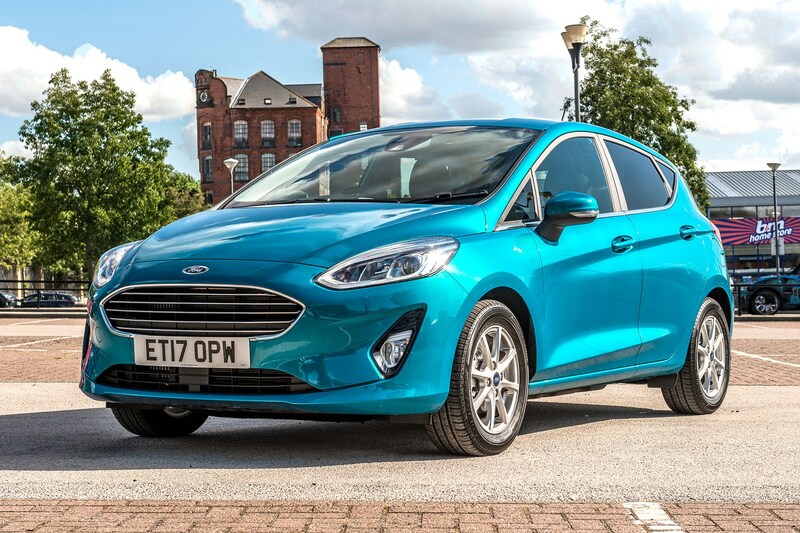 Quite how many Fiesta buyers will appreciate just how well their car drives is debatable, but its sweetness seeps through even when you're just bumbling along. 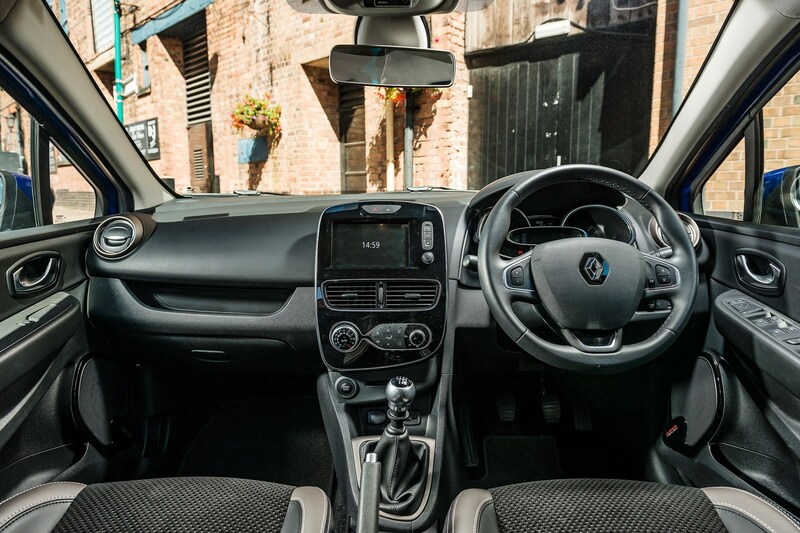 The Clio isn't as happy to play games as the Fiesta, should the mood take you. The steering can feel slow-witted and a little numb, chipping away at your confidence to push the front tyres harder. Actual turn-in is acceptably sharp and after leaning a little the Clio settles, grips strongly and resists total wash-out admirably. More disappointing for keener drivers is the 1.2-litre motor, which has a significant on-paper power and torque advantage over its rivals that never really translates into fun. Sure it's the happiest lugging from low revs – but it's best kept there; wring it out and the Clio sounds rather displeased about the whole idea. It's a shame that the greater vim of the Renault Sport version isn't somewhere in here. The Seat Ibiza lands squarely between its rivals when things get twisty. The clutch action is needlessly high and the gearshift (only five ratios as standard) is much like its siblings in only offering any kind of resistance at either end of the shift, with nothing in the middle. But well-chosen ratios allow you to work the motor hard and still cruise in comfort, with the lowest noise levels here even in fifth gear. Despite the FR tag the Ibiza feels less sporty than the Ford; it's the only car here to have drive modes that affect the steering and throttle response but at low speeds you'll want Sport engaged all the time, so light is the steering. Ask for all it's got and the Ibiza feels more than brisk enough and is the least intrusive in the process. Like the others, greater speed improves the steering weight and it can be fun if the mood takes you. Hotter versions are already available in Seat showrooms. Picking third place in this test isn't a difficult task. The Clio has a good deal in its favour, chiefly its striking exterior, flexible petrol engine and decent ride quality, but in the spotlight shone by these new rivals the wrinkles are showing. It offers the least space for passengers as well as little to get keen drivers interested, and manages to feel slower despite its best-on-test acceleration figures. A replacement is required. Splitting the Ibiza and Fiesta is headache-inducing. 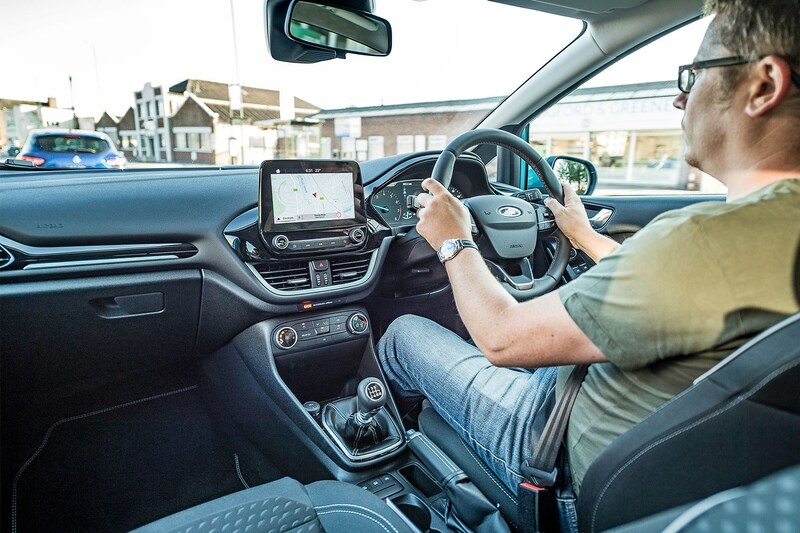 A standard escape route in this situation is to go head versus heart, in which case you'd expect the Fiesta's heart-pleasing effervescence to conquer the Ibiza's head-pleasingly solid interior and bigger cabin. 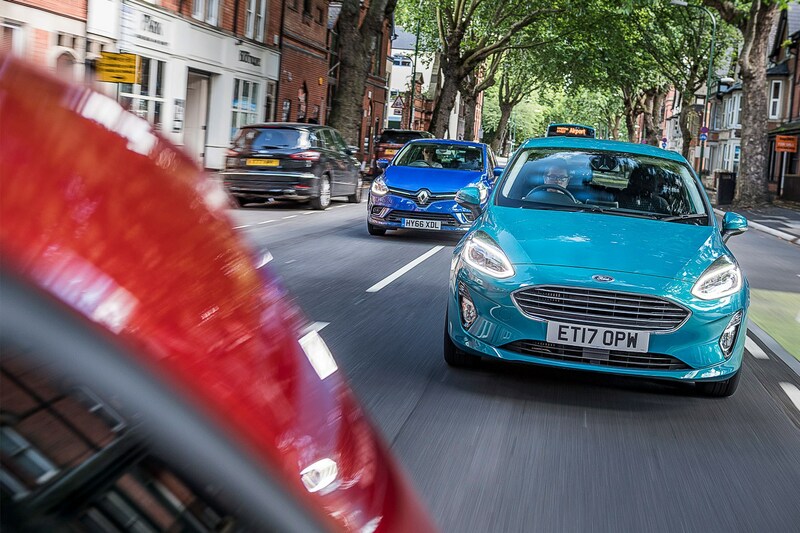 But on paper the Fiesta also has the best acceleration and lowest CO2 figures, and it delivered the best fuel consumption during our test, which you'd expect to show up on your bank statement. The Ibiza also attempts to seduce with its nudging-premium feel, particularly when specified in our smart FR trim and with its glossy, expensive-looking touchscreen infotainment system. Buy the Fiesta and your chances of regretting it are pretty slim. If you remotely care about how your small hatchback drives then its core-deep quality will make you smile even when you're not pretending to be WRC champion Sébastien Ogier. But in terms of its usability it is only adequately spacious, the cabin quality is occasionally questionable and the cost-cutting grates. There will be times when you're zapping through a switchback in your Ibiza and you'll have a tiny niggle in the back of your brain, knowing that your grin would be 20 per cent larger tackling the same road in the Ford. But those occasions will be rare. The rest of the time the Ibiza will swallow your passengers and luggage more readily, soothe your mind and body with greater ease and make you feel like you're trading up, not down. 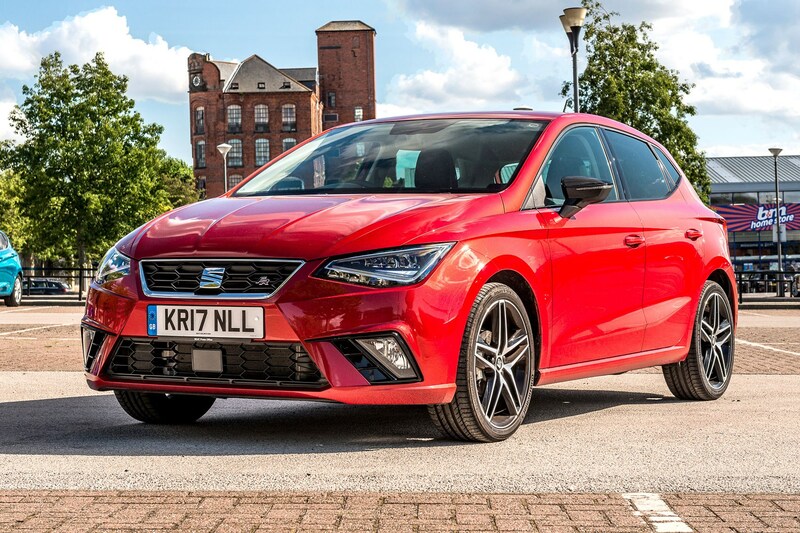 The Seat Ibiza is the most complete car here, and since the 21st century supermini is routinely tasked with doing it all, from urban warfare to weekends away, it's our winner. Great design, solid build, keen performance and generous space make the Ibiza the most rounded on test. Disappointingly cautious redesign, but Fiesta boasts smooth and punchy 1.0-litre turbo and best-in-class dynamics. Still stylish but feels its age, especially inside. Average dynamics and below-par performance seal its fate.